A couple months ago I told Bob to be thinking about McKenna's 2nd birthday theme. 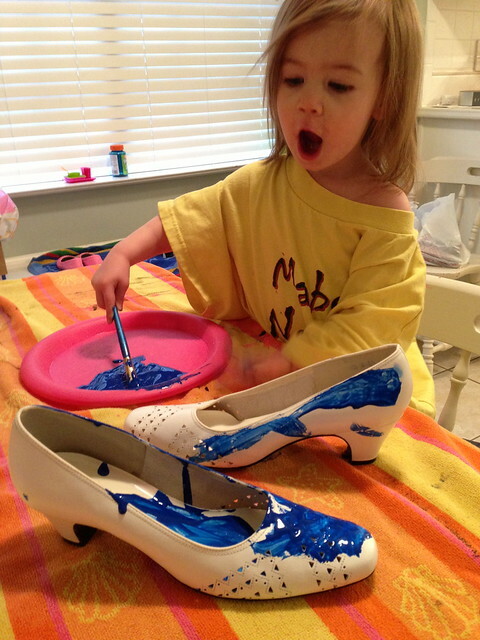 Later that night, she comes shuffling down the hall in a pair of Ella's shoes. A very normal thing for her. Bob looked down at her feet and then said "Goody Two Shoes." He made it look so easy. It was perfect! She has always loved shoes and was turning two! I loved everything about it. So Goody TWO Shoes it was. I didn't know exactly what I was going to do with the party yet, I just knew shoes should be everywhere. 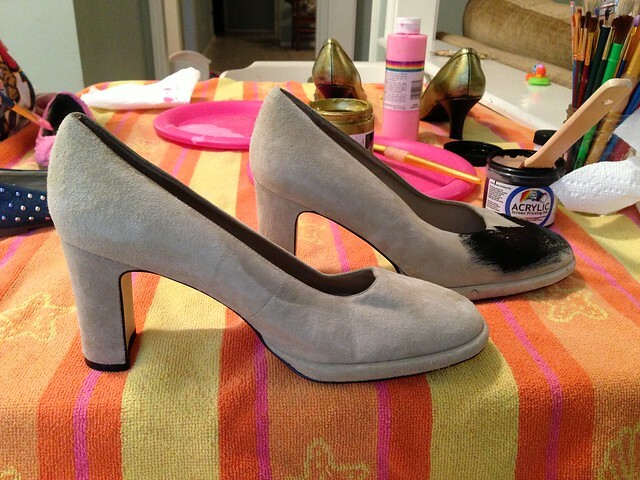 I took a trip to GoodWill and found some high heels in the dollar bin. 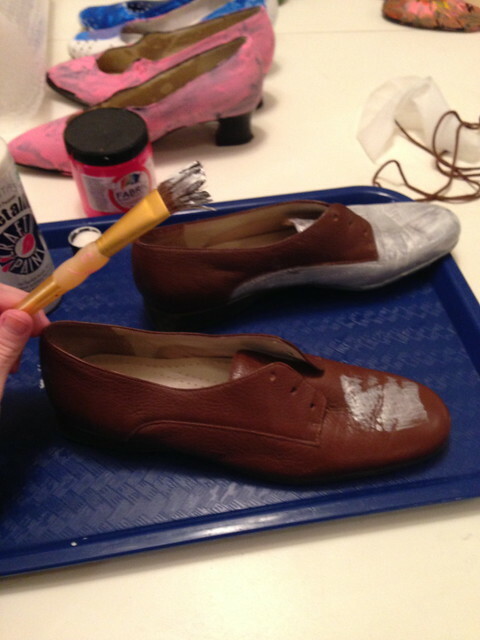 I know that sounds gross but I basically soaked them in clorox wipes and then painted and sealed every part of each shoe, including the soles. So I either killed every germ on them, or trapped it under multiple layers of paint. 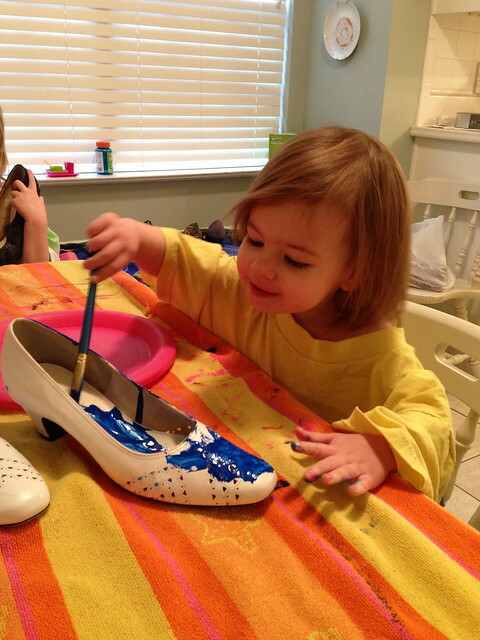 McKenna and Ella loved helping me paint the shoes. 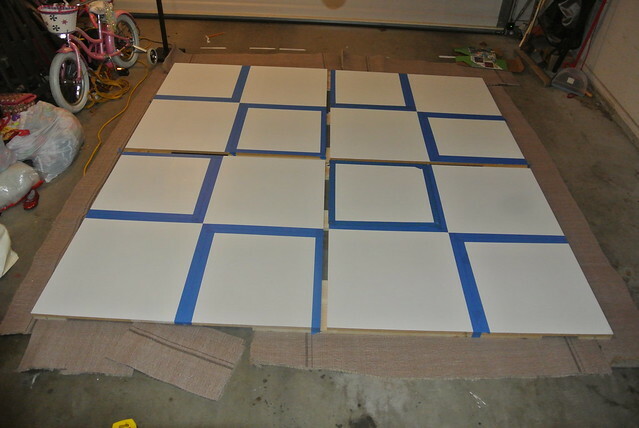 The other big project we (well mostly Bob actually) made for the party was a dance floor! 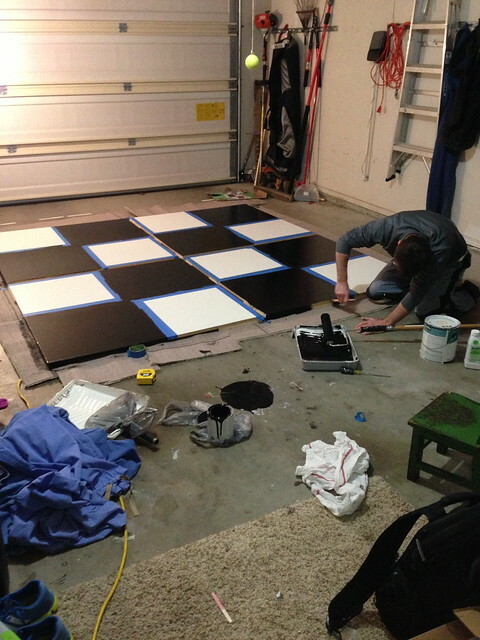 I told Bob I thought it would be fun to have a small piece of plywood painted black and white checkered for "dancing shoes." In my head I was thinking one slab of wood just laying on the floor. 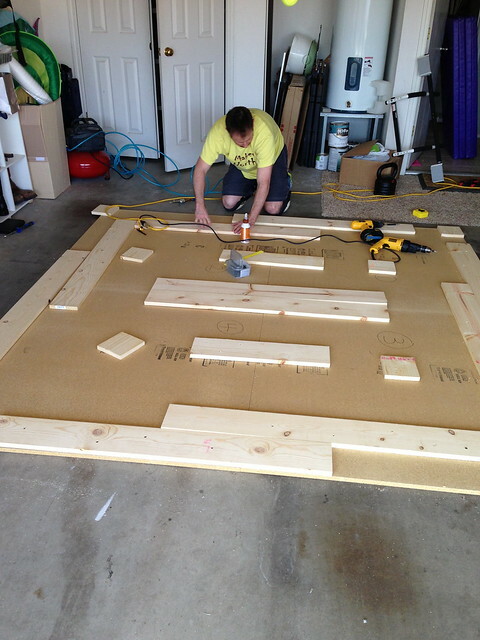 In Bob's head, he started designing one pimped out dance floor. 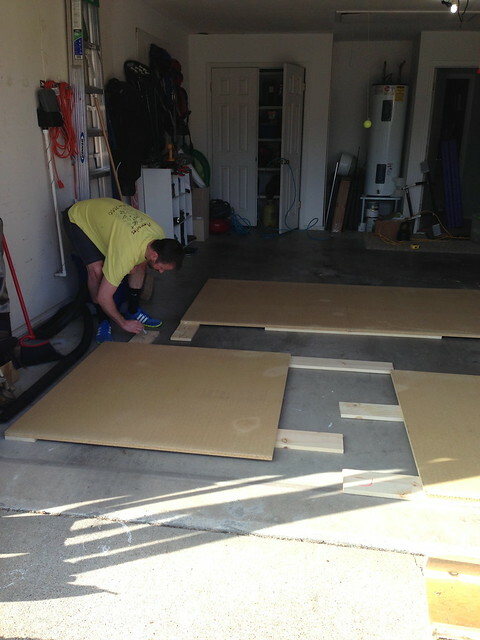 He headed to Lowes and took full control of the project. I couldn't tell you how this works but it does! He made it into four piece and they all slide together to form the perfect dance floor. He even taped off and painted it! I know. He is a dream! Kristen had the idea of Boogie Shoes instead of Dancing Shoes and I loved it! So I drew and colored lots of Boogie Shoes to hang above the dance floor. I just pulled up different images on the computer and blew them up really big. 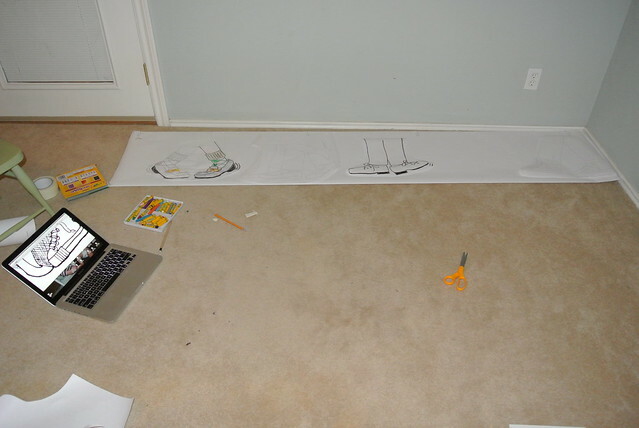 Then I held the paper up and traced piece by piece. 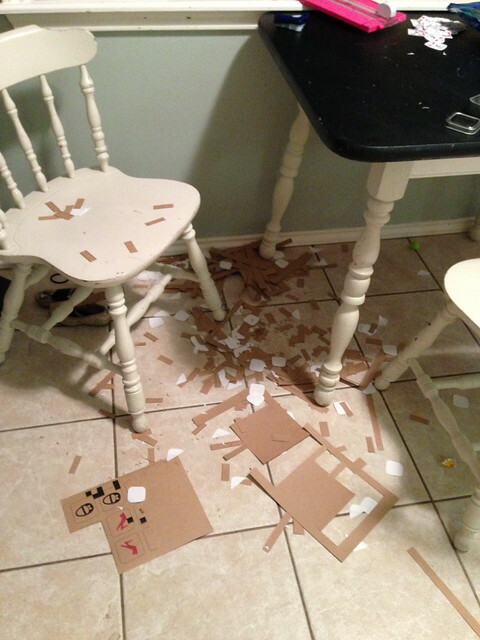 I tried the DIY overhead projector I found on Pinterest but it did not work for me at all. So I went with the slow and steady way. 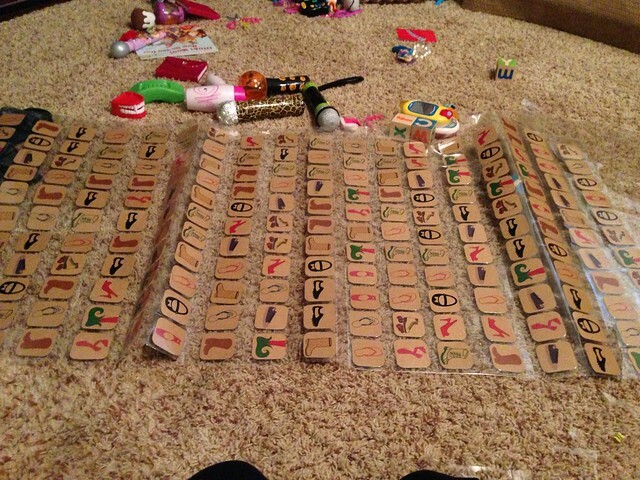 The party favors was a huge project! I didn't realize how hard it would be to line up the front and back of each card when I printed them. I got all the shoe images from my silhouette. After hours of trying, I gave up and went with a sticker label. 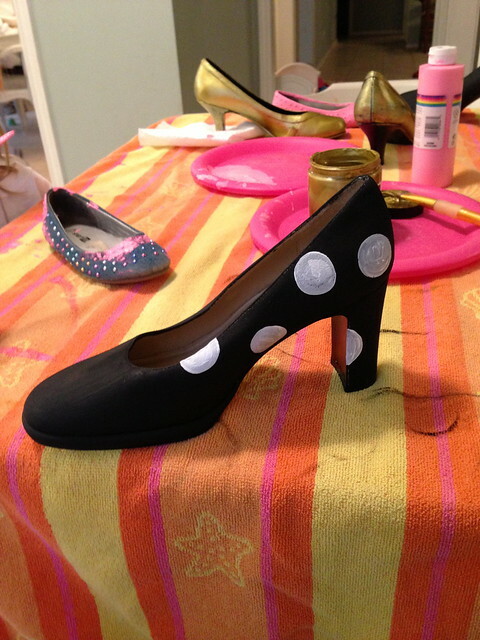 So I printed and cut out 300 shoe pieces and then rounded each corner. 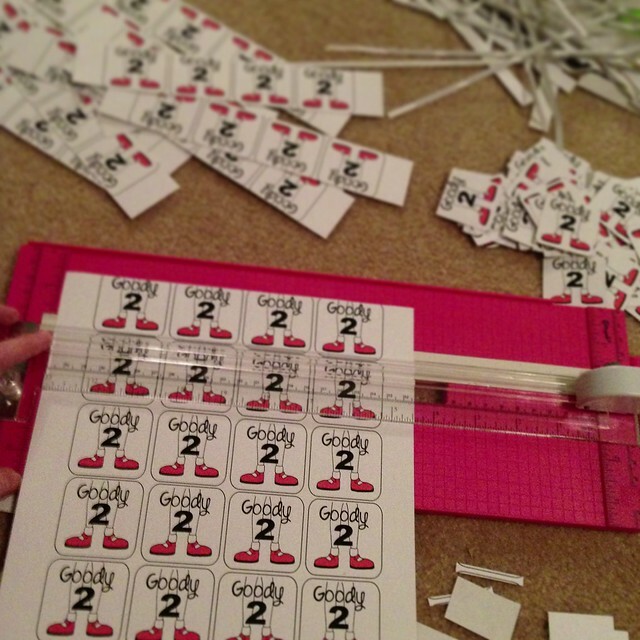 Then I printed and cut out 300 sticker labels and rounded each corner of those too. Then after putting them all together I got them laminated. 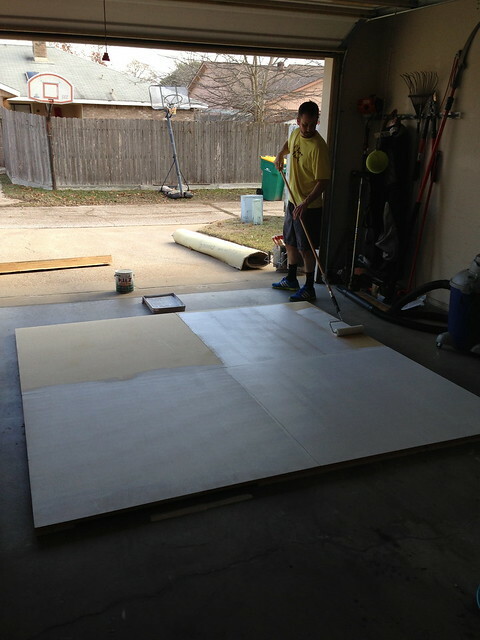 And once again, cut out 300 pieces. The day after I finished all of this, my smart friend Lindsay asked why I didn't just use the silhouette to cut them all out?! DUH ALLISON!! I couldn't believe I didn't think of that! Oh well. Lesson learned. Even though I lose lots of sleep the 2 weeks leading up to a party, I just love it all so much!